That is a nice Mamba as well! 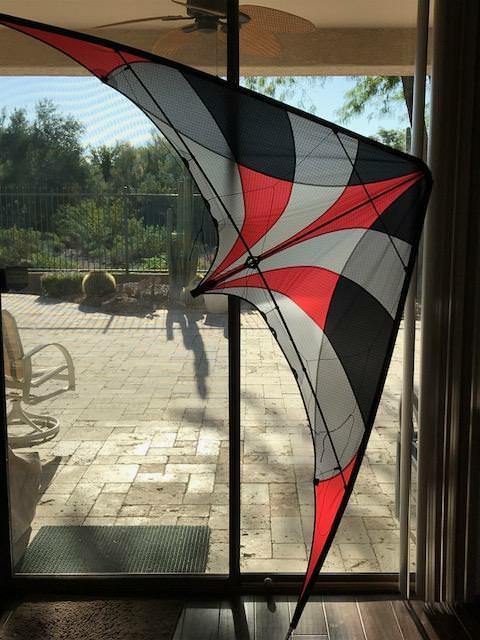 Just received my new Mamba Std from Blue Moon Kites. Just received my new Mambas . From left to right - UL, Standard, Vented. Thanks for a great job Ken. I decided to order a Mamba UL from Ken with the following color scheme. My colors have always been red, gold and black. Can't wait to get it and fly. I'll post some pics later. Those are some cool Mambas! Has anyone notice the lower spreader "T" to be very tight? Mine I had to open up the hole. 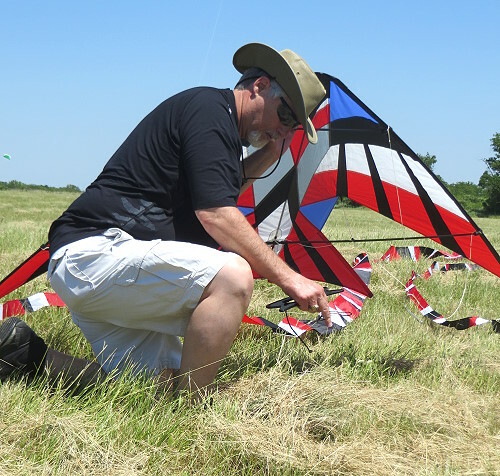 I could barely get mine together and I almost broke the kite getting it apart. My Mongoose was made in 2011 and fittings are still very tight. I have a extracto winder that helps pushing out the spreaders but have to be very methodical so I don't slip. When it's cold I don't even try to put it together. I'm okay with it because the connections are going to last. Already wore out the lower LE connections on my Widow Maker Pro. Got parts last week and the last few times I'd flown it one side was holding but right on the edge of failure. Nighthawks are due also.When new it was very hard to get the ferrule inserted.All my kites are loosening at the tee now except the Mongoose. When it's a issue I'll c glue and sand the ferrules to snug them back up. Guess it's one of those give and take things. Cheap easy fixes so no complaints. The more I learn the Mongoose the more I want another BMK. Flies like no other kite I have. 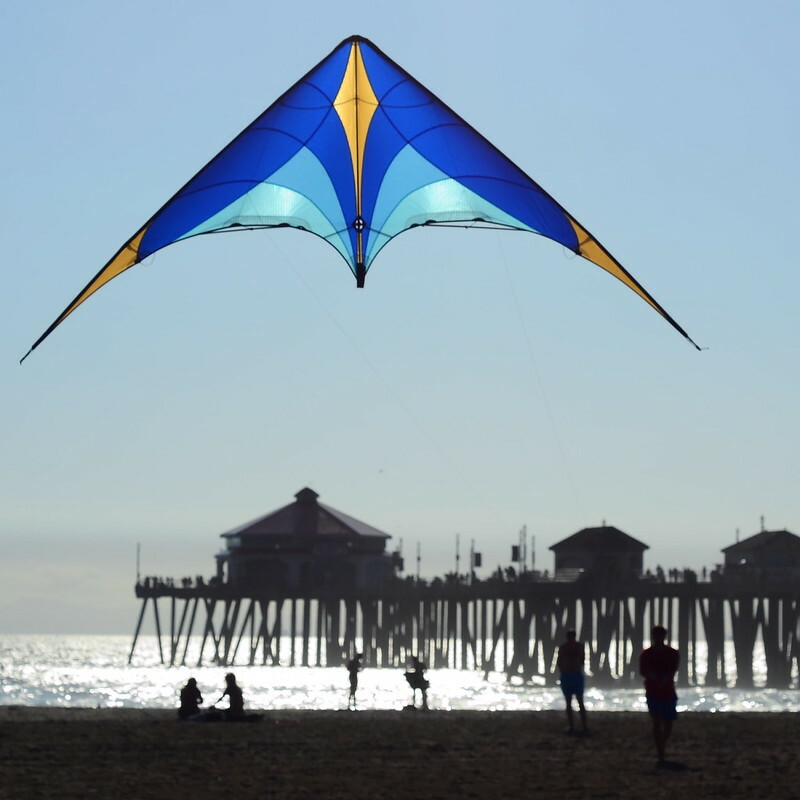 It's the only kite I have that I really enjoy flying without tricking even though the tricks are right there. Kites really hard to fade launch but will stay in the pancake so a few moves from there are easy to do. Those moves translated to all my other kites pretty easily.In the air it and the Black Dog are easiest to hold the fade for me. Can't hardly Roto Fade at all but I think it's going to be one of those two that unlock the trick.The silky feel of the Mongoose is very addicting.From what I've read seems like that silky feel is a unique BMK thing.